Just about every blogger and journalist I read and respect ended the year with more or less the same message: 2017 can go right in the trash can, where it belongs. Of course, just one year ago, we were ranting about the awfulness of 2016 and hoping that somehow the advancement of a single digit would turn things around. But then the daily news cycle became even more surreal, the weather increasingly weird, the lines between fact and rhetoric more blurry, and the outlook just a little more bleak. Beat and I recently talked about the ways current events have affected our day-to-day actions in ways we didn't expect. Personally, I struggle most with my worst impulse, which is nihilism ... or the resigned belief that "nothing matters." Even with daily affirmations that this isn't true, I still question why I should bother with anything. It was, well ... it was a year. Less than 12 months on, January 2017 has already, for the most part, faded from memory. Although I didn't yet know the cause, I was the most sick with symptoms of Grave's Disease as I had been before or since. I was often simultaneously agitated and exhausted, jumpy but lacking strength, mentally muddled and emotionally depressed. 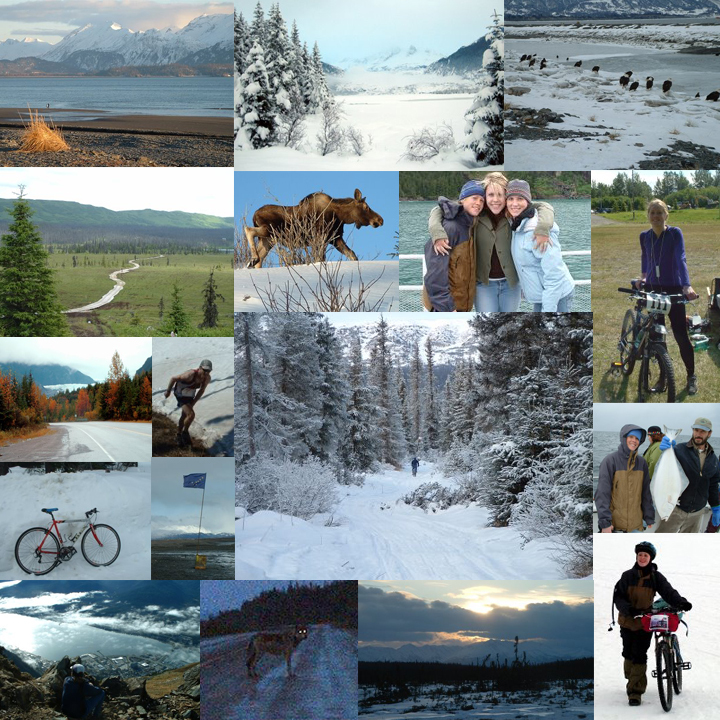 In the midst of this, I continued to believe I'd ride my bike across Alaska in a few short weeks, and forced my training far beyond the extent of reason. When I attempted the Fat Pursuit 200-mile fat bike race in Idaho, my breathing became so bad that I was convinced I was having momentary blackouts ... moments where I found myself wrestling for awareness like a drowning swimmer reaching for the surface ... and it was 40 below. It was a grasping, desperate time for me. But some experiences were still good, like this hike I did on Niwot Ridge with my sled-dragging friends, who were training for foot races. The afternoon was misty, warm, gorgeous. 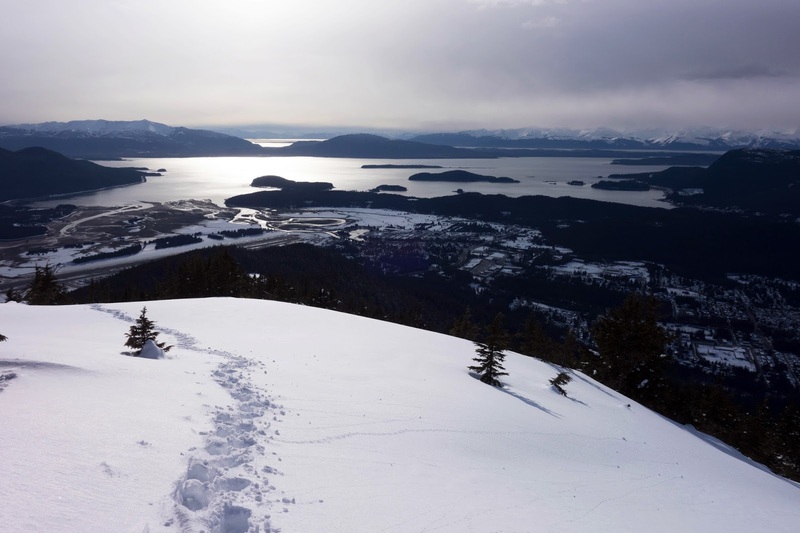 Thanks to a training trip to Alaska and a casual observation from my physician friend Corrine, I went on the fast-track to the Grave's Disease diagnosis — a hyperthyroid condition that wasn't even on my radar prior to February. In less than a week I transitioned from holding the last strands of optimism to withdrawing from the Iditarod and beginning the rollercoaster ride of treatment. My motivation for most things withered. If I'm being very honest, I have to admit that February is about the last time I was making reasonable progress on book projects, rather than writing and discarding pages or formulating fragmented notes for numerous projects that may never become anything else. Yes, sigh. At least I didn't have to thrash through futile training efforts anymore. Still, if I don't get outside to soothe the monkey mind, my worst impulses all too quickly take over. Without training pressure, my rides and runs did become more enjoyable. 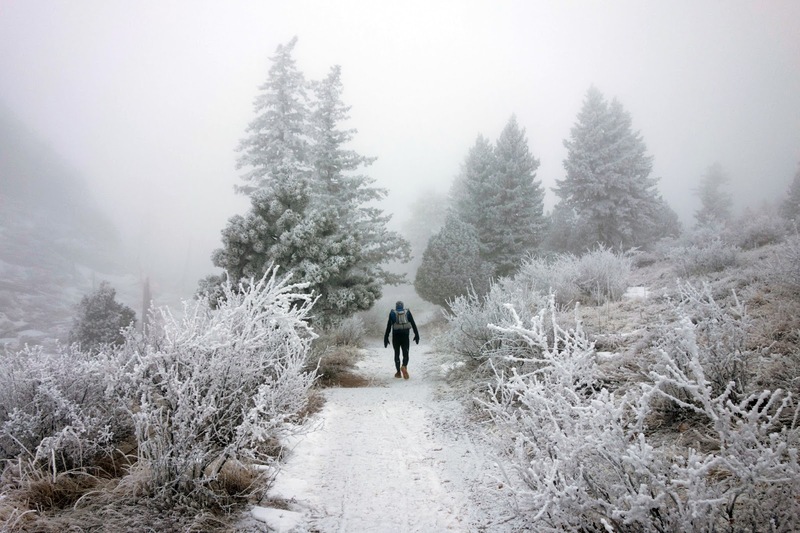 This misty romp through an ice-coated Walker Ranch was dreamy, until I slipped on the ice and bashed my knee so badly that I barely limped out. Still better than gasping for air. Admittedly, the darkness followed me into March, even as I wandered through my favorite places. 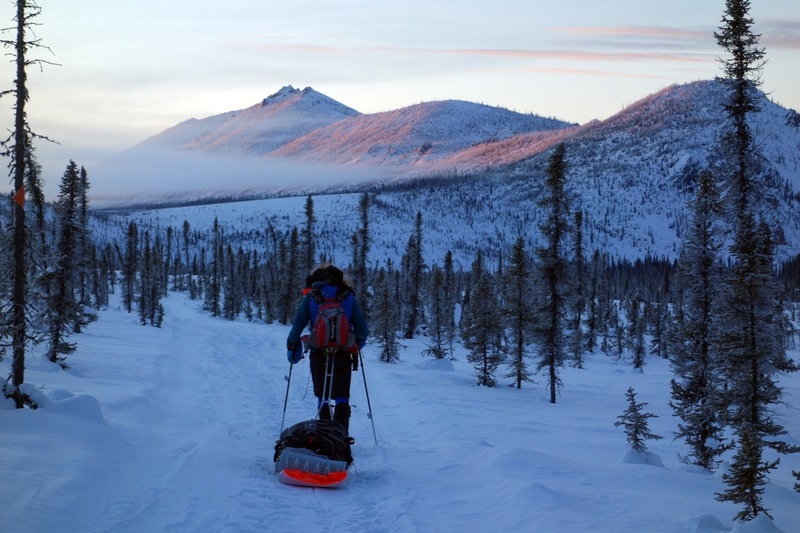 An illness forced Beat to drop out of the Iditarod. Despite having no real purpose there once Beat went home, I stayed in Alaska — keeping prior trip plans with friends, and sometimes just going through the motions. Toward the end of the month, a weird reshuffling of plans gave me an unexpected afternoon in Juneau. During the layover, I walked away from the airport and up a mountain I'd climbed many times when I lived there, Thunder Mountain. The path follows a sub-ridge through the forest toward a headwall. From the start I didn't intend to ascend this steep section of the mountain; I just wanted to reach a bench with a view of the channel. Warm weather and solid spring snow conditions didn't betray that anything was amiss, until I reached my destination and triggered a wet-slab avalanche that came down on top of me from at least 300 feet above. As I ran in slow motion toward the edge of the slide, snow blocks tumbled into me. It's only by grace that the slide stopped before carrying me over the edge of a veritable cliff. One leg was buried to the shin, but I managed to chip myself out quickly and float downhill on in a post-adrenaline haze. I learned much from this experience. 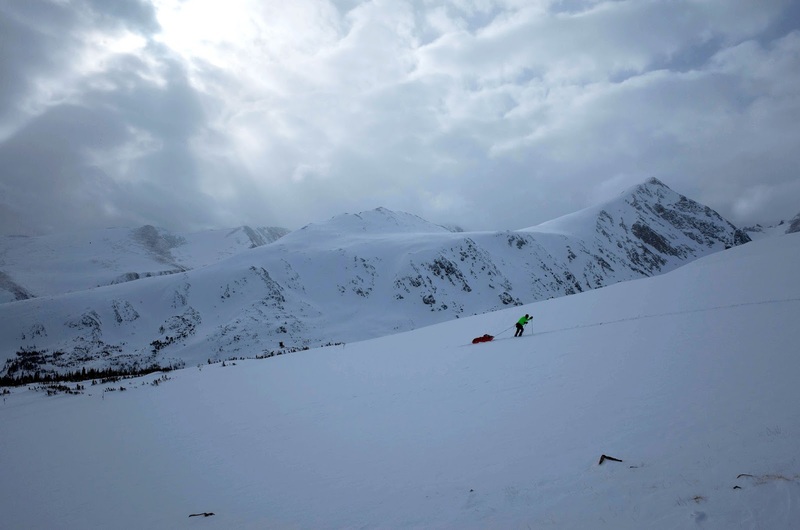 I've since read four books about avalanche science and skills, and from these mostly concluded that no one should go into the mountains during the winter. (I'm being facetious. But wow. Avalanche conditions are complex and the variables are endless.) I also experienced that cliched affirmation that life is, indeed, precious, and can literally be ripped away at any moment. Now when I look back on Thunder Mountain, I no longer see my old friend and "Modern Romance." I see the menacing and indifferent force of the universe that proves how much we really have to lose. My emotional state improved substantially in April. Perhaps this was because of my renewed appreciation for life, or perhaps my medications were finally kicking in. Several spring snowstorms also helped my mood, because there was still a bit of winter that I was healthy enough to enjoy. Running was a relative breeze and I renewed stoke by scheming a glorious comeback at the Bryce 100 in June. Much like this winter, most days of the actual winter months of 2016-17 were warm and dry, while snow fell in droves in March, April and May. I am banking on the same happening this year ... otherwise wildfire season will be horrific. 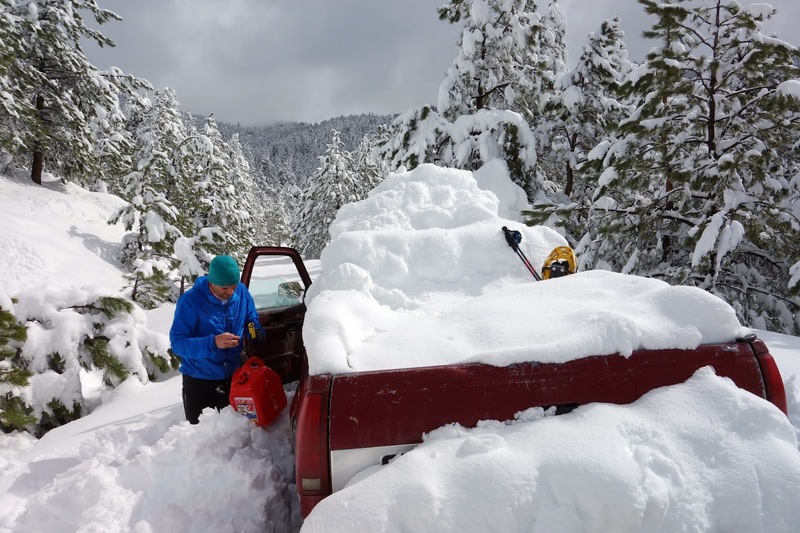 Nearly three feet of snow fell on our home during a May 18 storm that knocked out the power and effectively stranded us in the hills above Boulder. This image is our attempt to plow the road the day after the storm. It's a departure from my usual "small person in a big land" theme, but it makes me smile. In June, my health rollercoaster veered downward, and I unsurprisingly struggled with breathing during the Bryce 100. Finally, after 70 difficult and hot but mostly enjoyable miles, I timed out. Bryce was my first and final ultra for the year, and I look back fondly on the experience. Sure, my body isn't always up for it anymore, but I still crave the intensity and emotion of endurance challenges. In 2018, for the sake of my tenuous self worth, I am keeping race expectations grievously low. Yet I won't shy away from a big challenge ... not yet, and perhaps not ever. 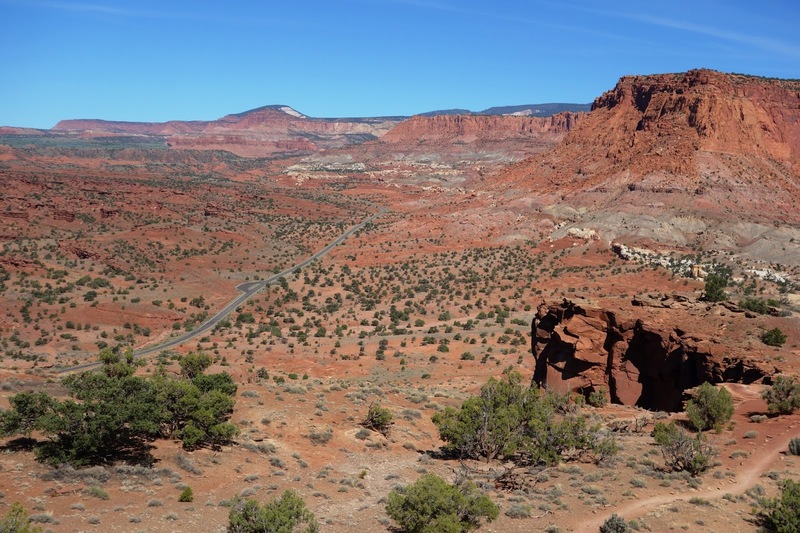 After the failed race, I treated myself to a scenic drive home via the Southern Utah desert. I visited bristlecone pines in Cedar Breaks, hiked in a 105-degree furnace at Kodachrome State Park, and enjoyed a morning stroll at Capitol Reef National Park. It was a beautiful way to decompress. I truly wasn't all that discouraged about my rather predictable result at the Bryce 100, but the drive home was soothingly satisfying. My fitness continued to swing downward in July, but I could hardly say no when my friend Leslie invited me to join her on a small segment of the CDT during her summer thru-hike. 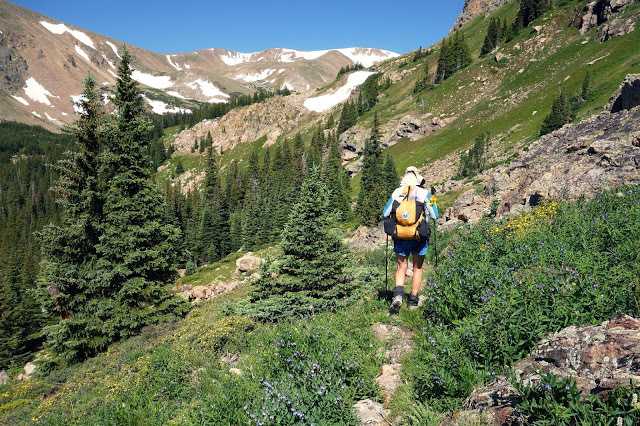 I shadowed her for three days through Colorado's Indian Peaks Wilderness, and got a small taste of what thru-hiking life is really like — which is notably different than simple backpacking. Despite being an endurance junkie, my backpacking style is quite lax — I like to sleep in, cook meals, read my Kindle. 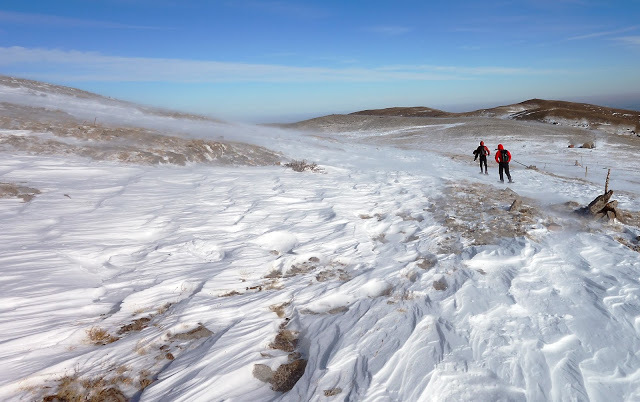 A thru-hike is much more similar to endurance racing — a race to beat winter. The clock is always ticking. The routine can be brutal. Leslie woke up at 5 a.m. and drank cold instant coffee out of a peanut butter jar while walking, for example. I am now deeply intrigued by thru-hiking, and am scheming to plan a "short" one — like the Colorado Trail — during this summer or next. An injury forced Beat to withdraw from the Ouray 100. I headed out to Ouray anyway, using a single volunteer shift at the race to justify four days of hiking in the San Juan Mountains. During the second day of trip, I was caught in a horrific hail storm and rescued by a nice family from Texas, who took me gold-panning. After a short nap, I opted to head back out and watch racers on the course near Ironton, a refreshingly nontechnical but stunningly scenic loop around one of the Red Mountains. My health had only recently hit an unexpected upswing. This was the first time I noticed the correlation of better balanced thyroid hormones, and a substantially brighter outlook on life. It's almost like taking happy pills — nothing has really changed, but I'm over the moon about the simplest things. 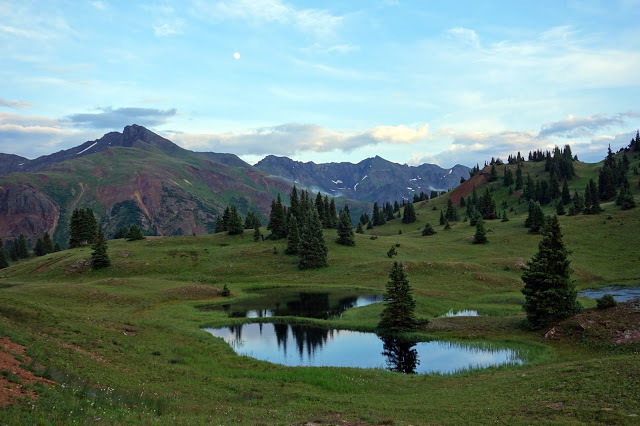 This eight-mile hike around dirt roads outside of Ouray was one of my favorite outings of the year. It's difficult to pick a favorite picture from our annual sojourn in the Alps. Big mountain vista after big mountain vista, it's rare for one to stand out, and that was the case this year. 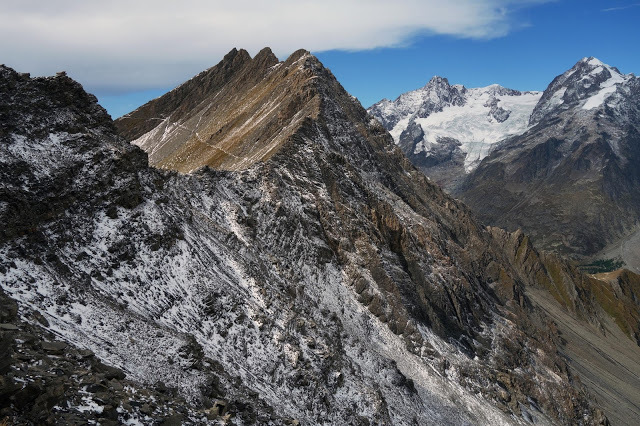 I chose this photo for the memories behind this particular hike, where I climbed from Courmayeur to Col Arp and crept along the jagged and intimidating ridge of Monte Favre over a dusting of snow and ice. 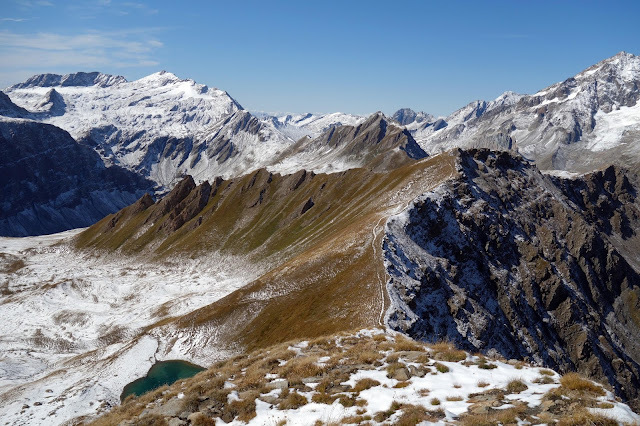 Here is a place where, in the crowded shadow of Mont Blanc, one can hike for hours and not see another soul. Where impossible terrain fills the horizon, and the faintest of paths allows tentative passage. Where I'm endlessly reminded of past moments of agony and angst, while experiencing an enduring sentiment not unlike romantic love. After I descended this ridge, I encountered the abandoned belongings of a distressed hiker who I later learned had died of hypothermia. It was an eerie scene of clothing and gear strewn along a steep talus slope that already had me riddled with anxiety. Again, life is volatile, and so valuable. A Google retreat gave Beat and me an opportunity to visit Maui. 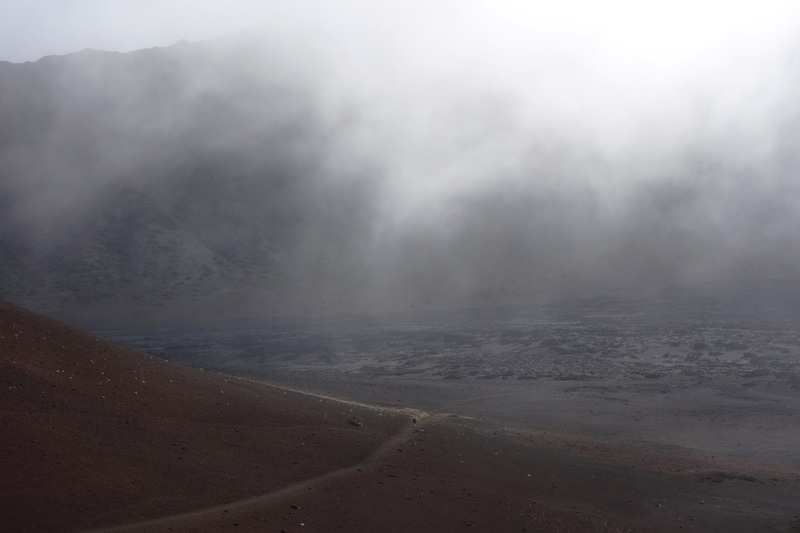 We carved out a day to run through the deep crater of a volcano and back. I acknowledge that this photo is odd, but I like its ethereal depiction of a vast moonscape. I did not feel good for the entire outing, and in fact had such breathing trouble while hiking out that I genuinely fretted about getting myself out of the crater. Such seems to be the current nature of my fitness. I can feel on top of the world in August, climb nearly 100,000 feet over mountains in Europe in September, and return to being a wheezy mess in October. "Life is volatile and valuable" may be my lesson of 2017, but "Take nothing for granted" is a close second. Although tempted to use a photo from my Thanksgiving backpacking trip in Canyonlands National Park, I couldn't let the year pass without a depiction of an authoritative presence in my home in Colorado — the West Wind. 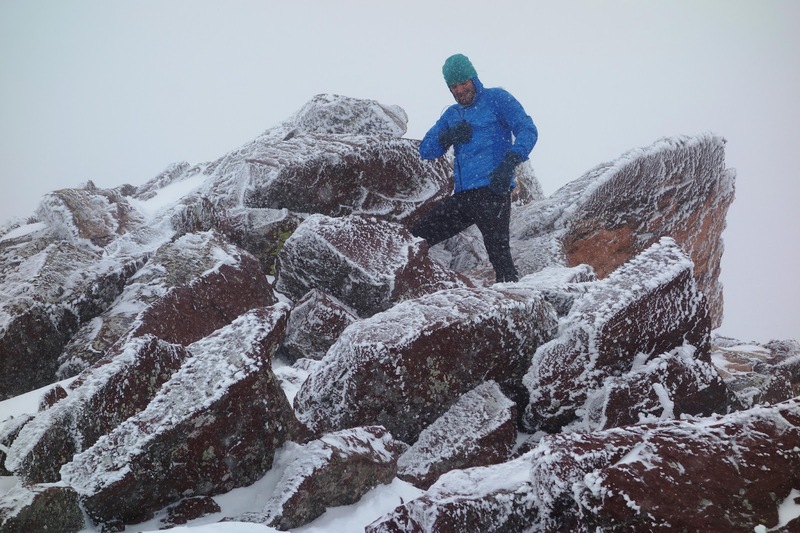 Autumn was punctuated with impressive gales, often blowing hurricane-force during weekend outings on nearby mountains. It blows at home, too, and we often return from a trip away to find our Iditarod tripod toppled, branches strewn across the driveway, or door mats and buckets blown a hundred yards away. I am forging an appreciation for the West Wind, for the strength it demands and the intensity it adds to otherwise bland sunny days. 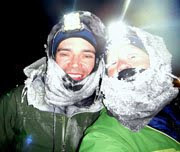 Similar to past years, we spent the Christmas and New Years holidays on a "training trip" in Fairbanks, Alaska. This included a five-day hike through the White Mountains, where we pulled our sleds into the narrow corridor of Fossil Creek on a trail that hadn't been traveled in a number of days. The fresh tracks from a pack of wolves pressed into wind drifts, reminding us of their intimidating proximity. In four days temperatures never rose above zero, and we saw as low as -36. Even though I felt remarkably strong and well-prepared for this trip, I couldn't deny the primal fear creeping around the edges. It was a wonderful journey that I'll write about soon, but I wanted to post by 2017 photos before I went too far into January. Happy New Year! I really do believe 2018 will be better. Thanks for your year's end recap posts going back to 2006...which left me feeling as if I've been around the world about a dozen times. I have always subscribed to your "moving through the world" mantra, as opposed to sitting idly by as a seated "passenger." Someday, if not already, you will look back on your legacy of Movement with a well earned sense of pride and accomplishment. And that, while you "gave in" a few times, you never gave up. Wow, in spite of not doing a lot of "races" and having health issues, you still had an awesome amount of adventures packed into one year. Here's to a healthy adventure filled 2018! Laughing at your conclusion that no one should ever go into the mountains during the winter. I am feeling that right now too. I am also reading avalanche books and it is making me feel like every slope is a risk. I know it will subside with more experience and knowledge (taking Avalanche Skills Training 1 Course next week) but right now, I know only know enough to be afraid. I need to take a course as well, to better learn how to read the terrain I want to avoid. I've looked into a few, but they're all so expensive and inconvenient. Worth, it, I realize. For now, as winter deepens and the Colorado snowpack becomes more volatile, I'm fairly content to mostly avoid the mountains beyond "The well-traveled snowmobile trail along Niwot Ridge with a few inches of wind crust." A fantastic recap of 2017, with its highs and lows. I'm always gobsmacked with where you go and what you achieve, especially this past year. Here's to 2018, only being filled with highs. Great photos and stories Jill. Sorry to hear you have not had a great year, mine had a few big 'low' points but thankfully I also had a lot of 'high' points, including my first trip to Europe and meeting my soul mate. I am glad to have met you and I look forward to seeing you when we visit for Roger's Hardrock race, hopefully you can show us some of these local mountains and my injuries will be a thing of the past. Isn't nihilism great?! Sure, pessimists can view it as a reason to do nothing, but I like to view it as the great reset button of life philosophy. I view "nothing matters" as an acceptance that there is no greater moral authority or reason for living (which I believe is true). Therefore, we have to create our own moral authority and our own reason for living. Such power! But be careful. With great power comes great, well, you know. Our actions have great impact on others around us. Since we all have to live together on one planet, we have to act carefully. So forge ahead into the new year, Jill, wielding the great power of nihilism!